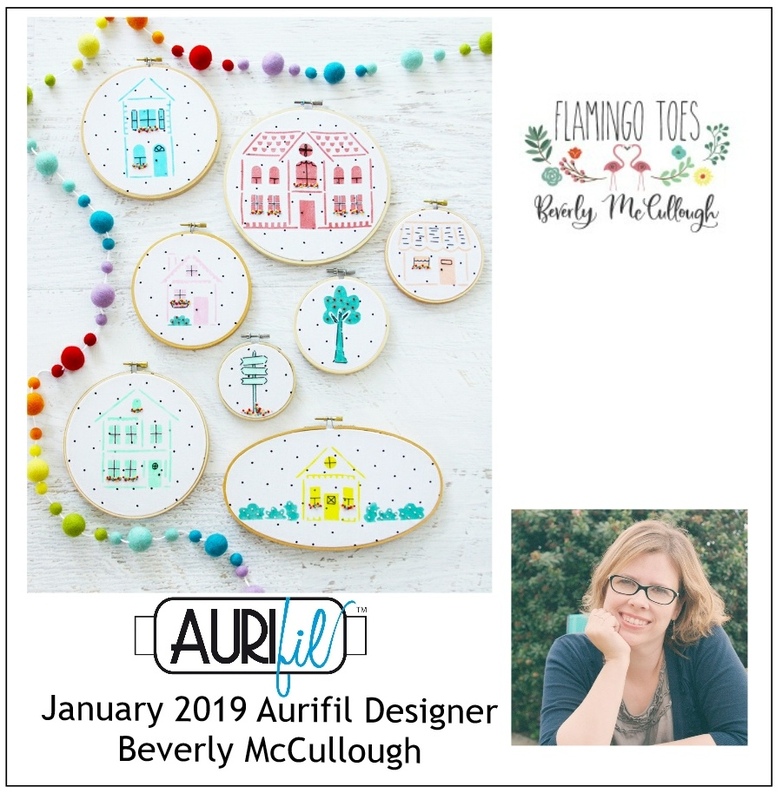 We kick off our fun filled year with Beverly McCullough of Flamingo Toes. I’ve been following her work for years. She is so talented! Beverly creates loads of darling, very doable, projects. I’m very fond of her sweet hoop projects. So easy to change out and decorate with. We are super luck that she now does fabric for Riley Blake and had her first book come out a few weeks ago. 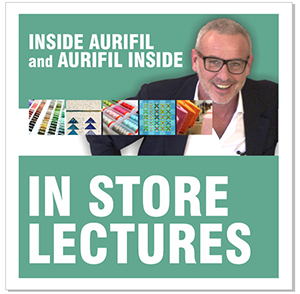 Listen to our chat HERE on my Podcast. We talk about the embroidery hoops! Let’s get to know Beverly! I live just north of Nashville near a little town called White House, TN! 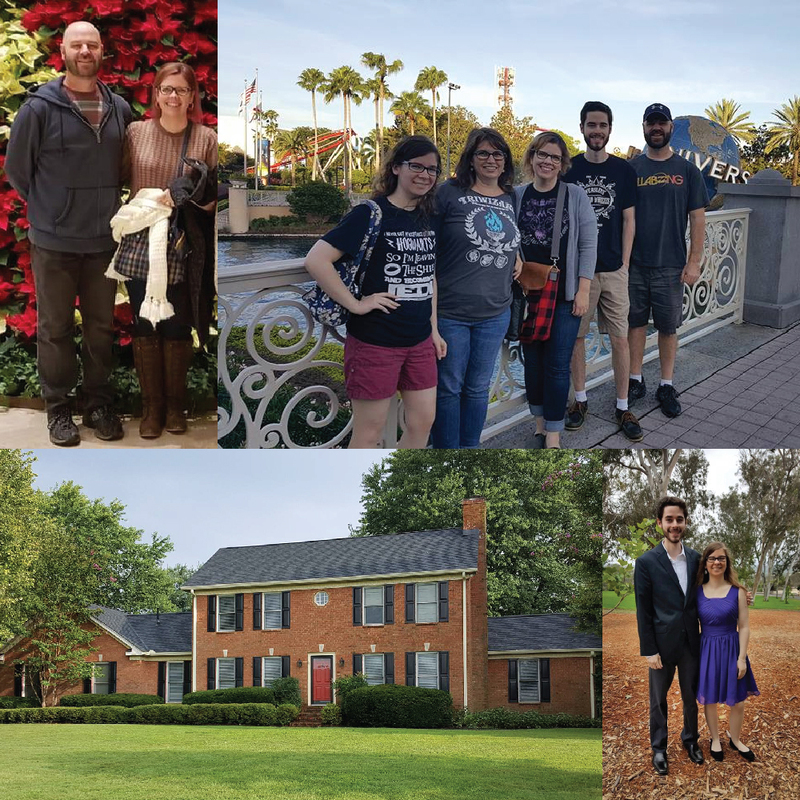 We love it – after living in California for 9 years, living in a small town with lots of trees and space is perfect for us! 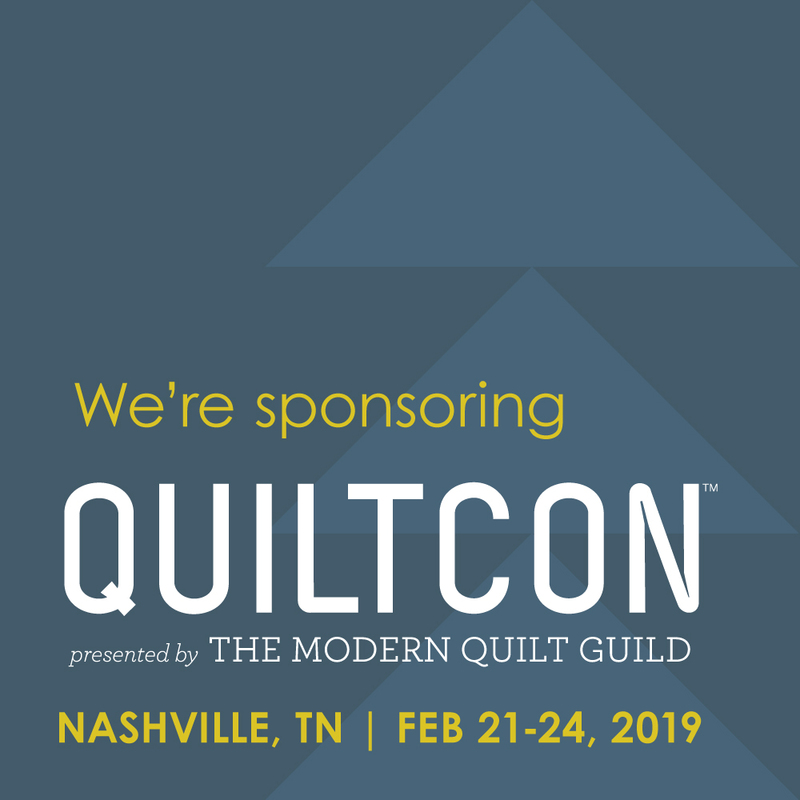 For the longest time I felt guilty about taking my quilt to a long-arm quilter. I thought that if I didn’t do that step I wasn’t a real quilter! I’ve gotten over that though – I can get so many more quilts made if I’m not having to quilt them (and recover from the quilting) myself. 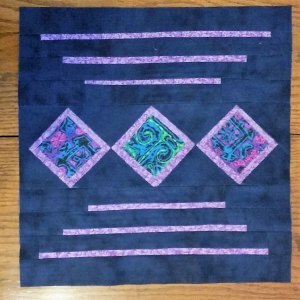 Do you have a favorite quilt you made or a technique that you do? 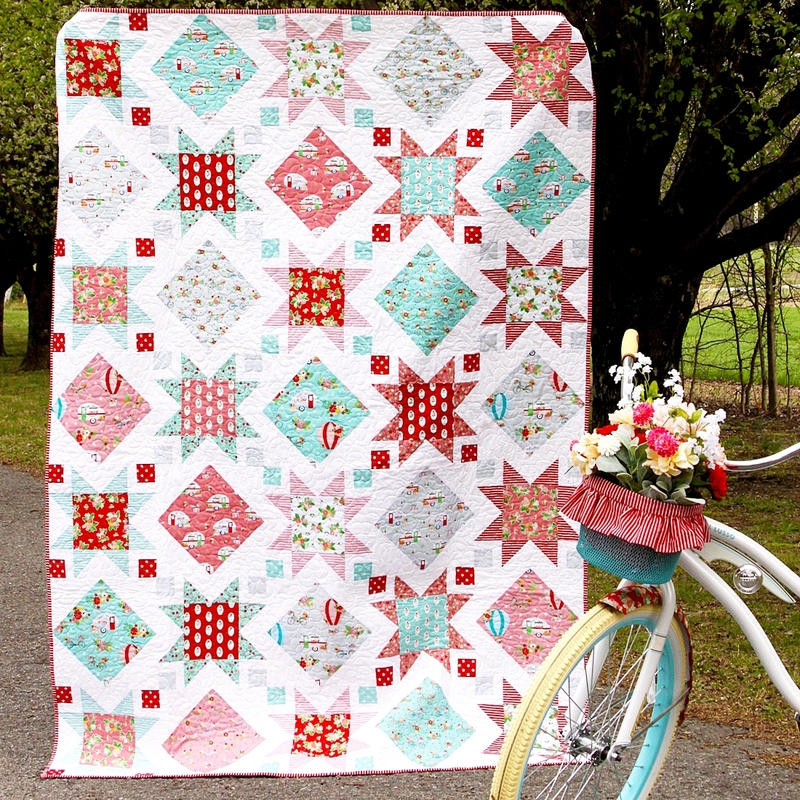 Picking a favorite quilt is a little like picking a favorite child isn’t it? 🙂 I think my favorite right now is the Stars and Windows quilt. 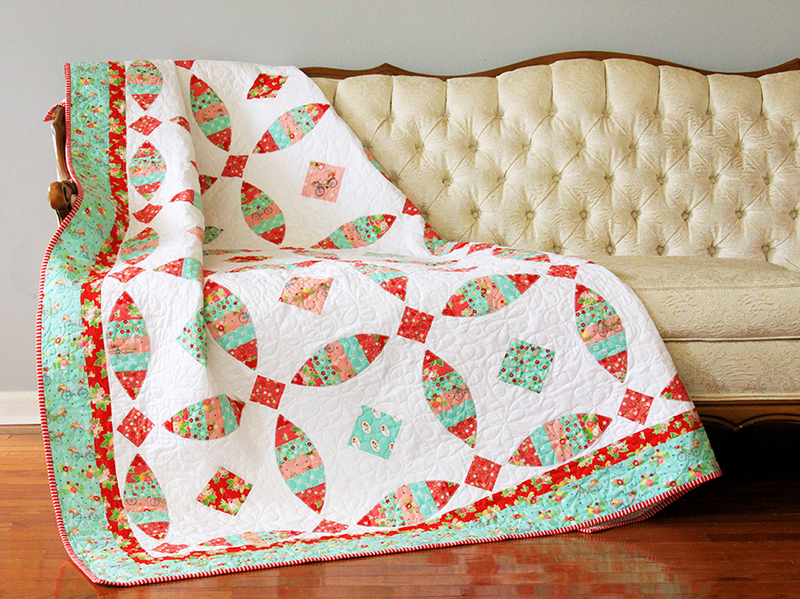 It’s the quilt pattern I designed to go with my first fabric line that came out last year. 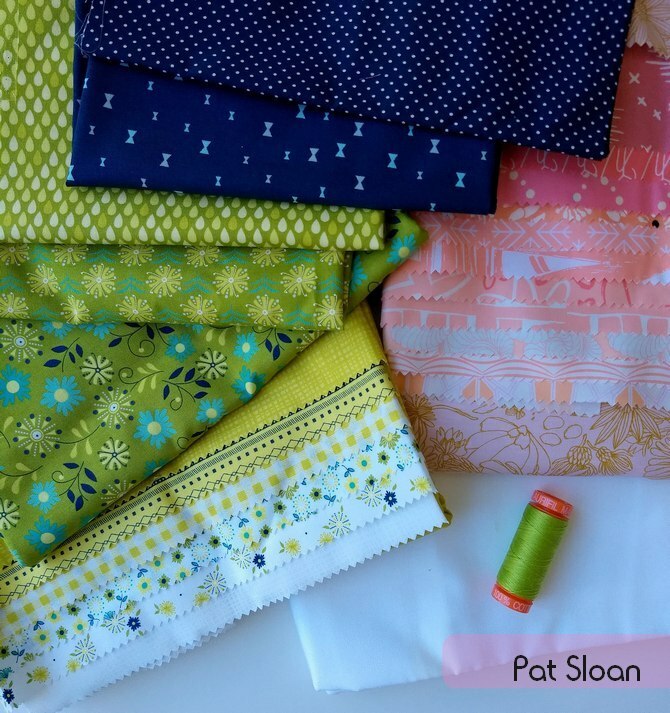 It was so fun to design a pattern to show off those fabrics! My studio is my favorite room in the house – though it needs some work! It’s a converted sunroom so there is tons of light and space. I’ve added in a mix of repurposed and vintage furniture to the space for my sewing table, cutting table and storage. I have a post planned this year to show it off finally! What is new in the land of Bevelry? 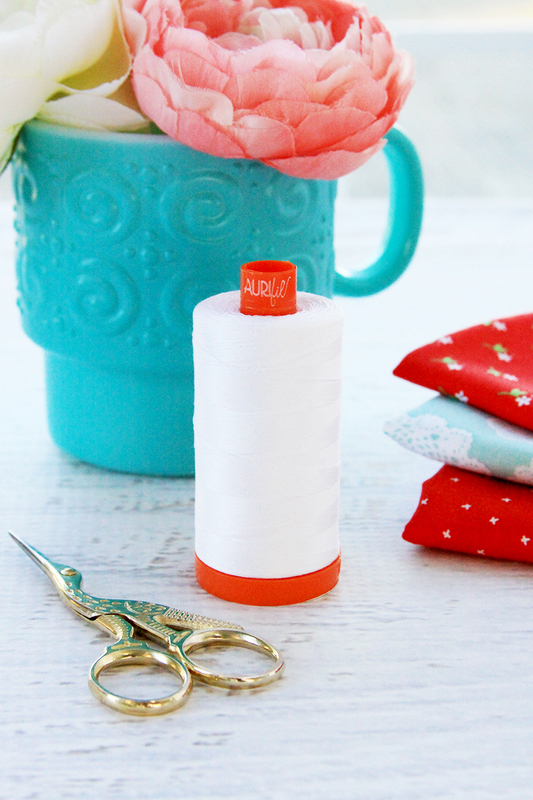 I’m so excited about my newest fabric collection, Vintage Keepsakes, coming out this month! It’s inspired by the vintage embroideries and doilies that I adore, all in pretty pinks, aquas, red and grays. 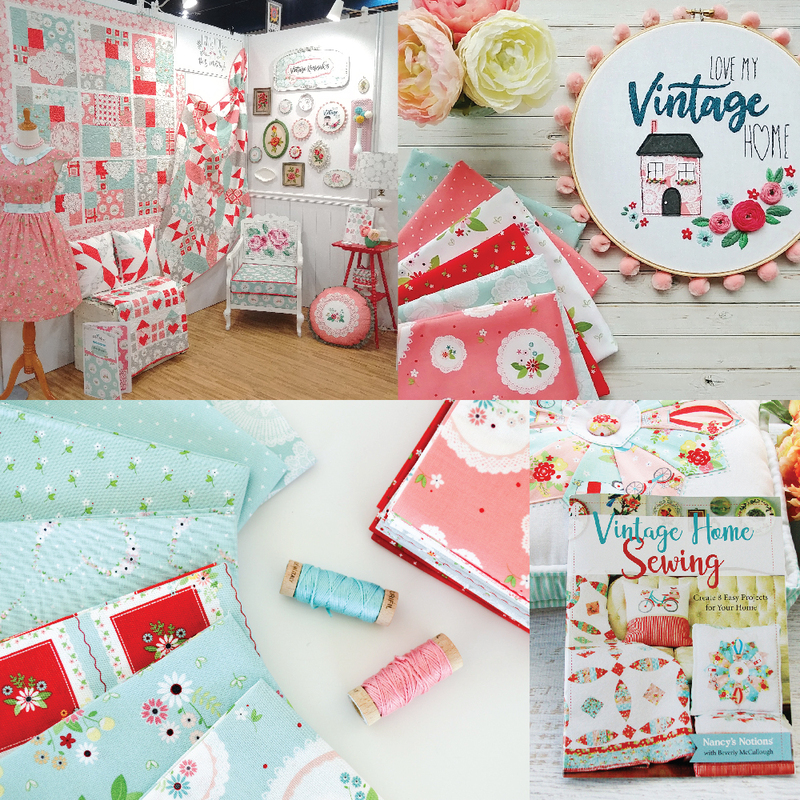 I also have a new book with Nancy’s Notions called Vintage Home Sewing! 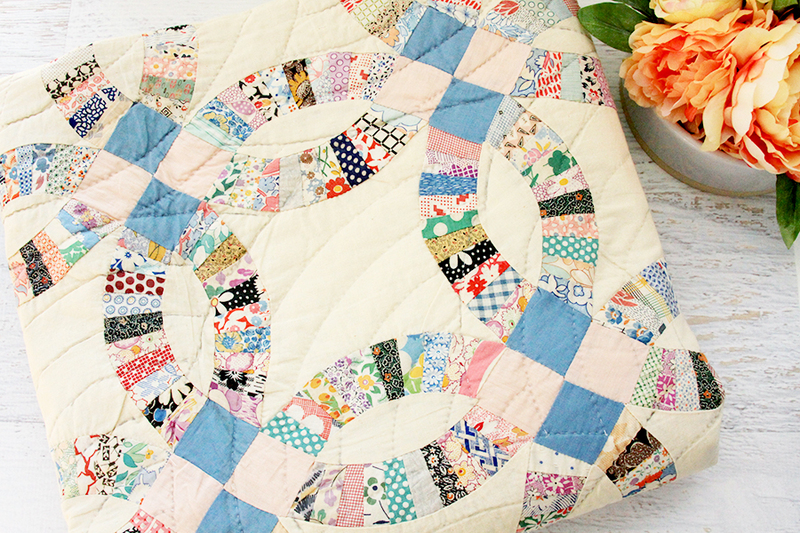 It includes 8 fun projects to make for your home that have a sweet vintage style! What is on your play list? A little of everything! I listen to a lot of movie soundtracks, Frank Sinatra and Maroon 5 – depending on my mood! I love any kind of antiques but one of my favorite new collections is my vintage Walking Ware dishes. They were made in England in the 70’s and they are so adorable. 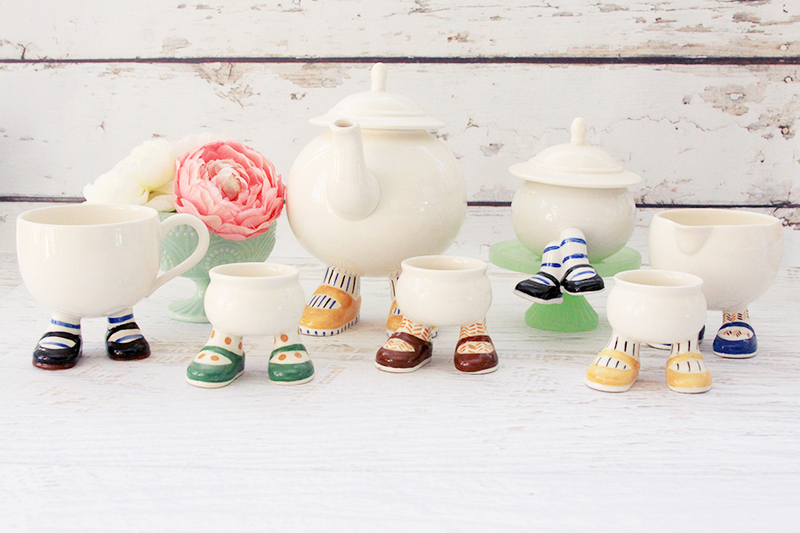 Every piece has little socks and shoes – so the cups and even plates stand on little feet! I just adore them. 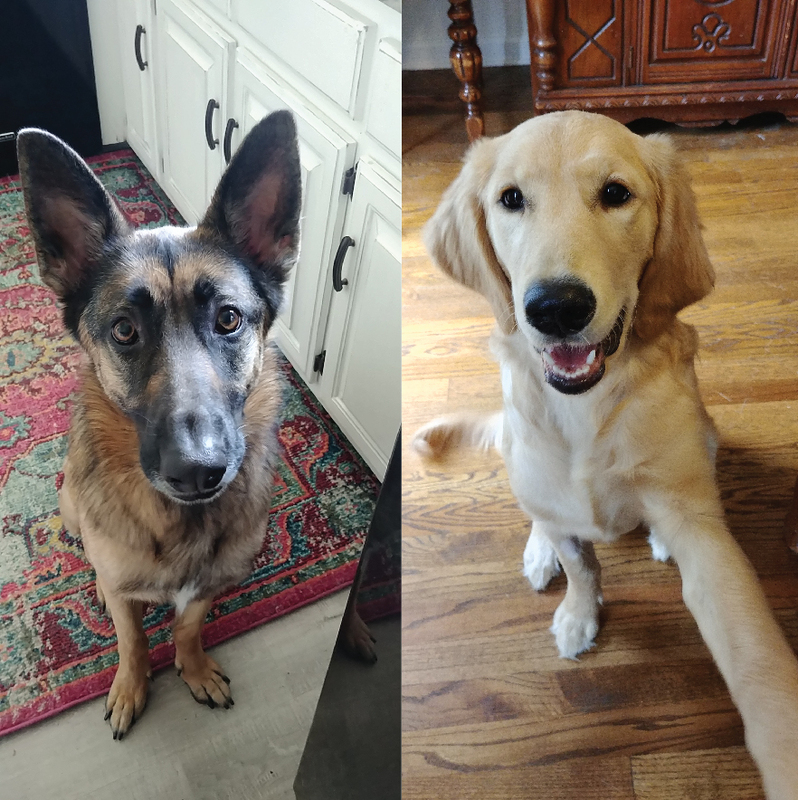 Are you a Dog, Cat or other animal person? I’m an AVID Harry Potter fan! If I had to pick a favorite book (and that’s a little like picking my favorite quilt) I’d have to say that series is my favorite! 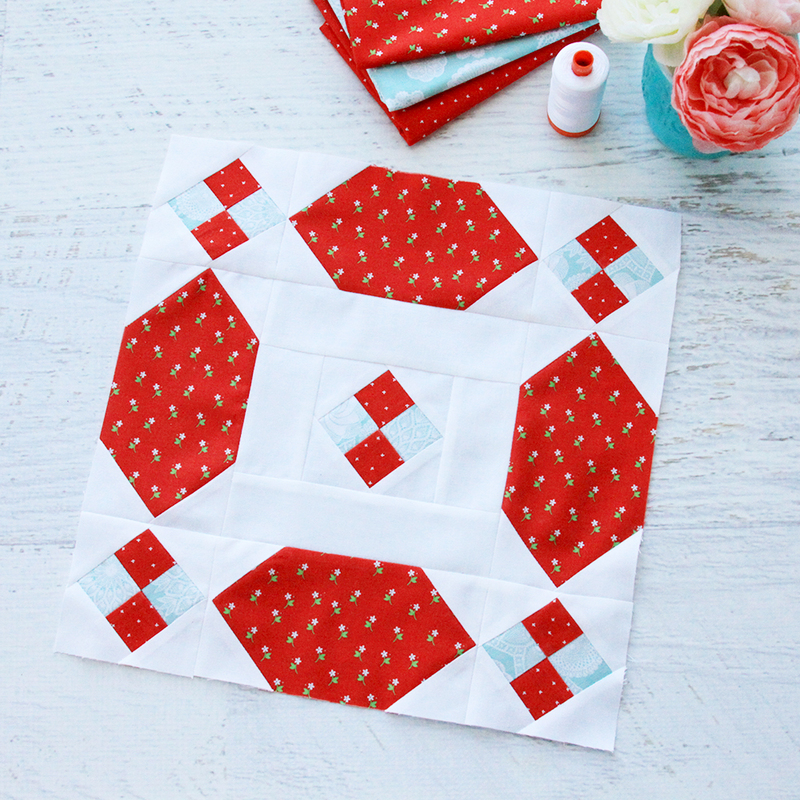 My quilt block is inspired by that wedding ring quilt of my great-grandmothers! I absolutely love vintage quilt designs but I don’t often have time to do the hand piecing for them. I’ve made this updated wedding ring block to have a similar look to a wedding ring block but it’s pieced instead! 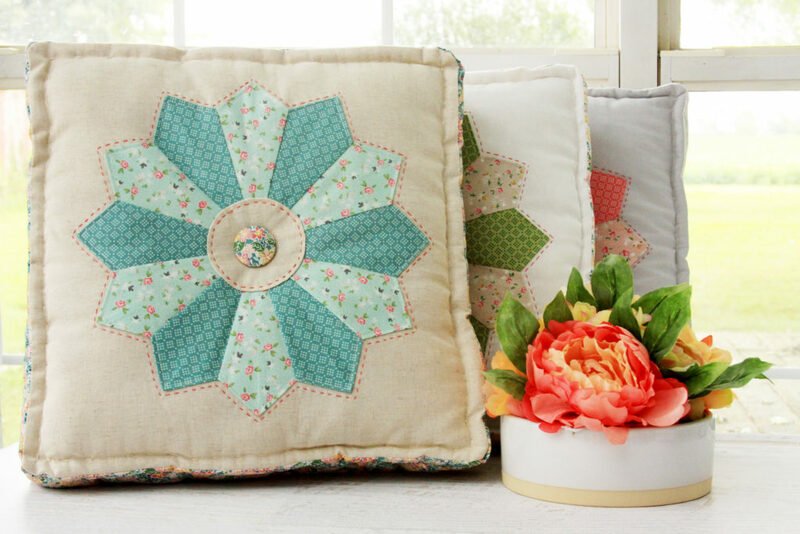 I used my new Vintage Keepsakes fabric too– I love that it give it a little of a vintage look as well. CLICK TO MY Website to see my January block! Oh, do get goats! We are a dog, cat, chicken, miniature horses, and, for the last six months, goat family, and I have to tell you, goats are just so loving and friendly and peaceful! When I want to have “a moment of zen”, I go out and hang out with the goats. True story. Our boys are such a sweet, loving addition to our family–we could not love them more. Oh that’s so fun Beth!! I am dying for them. Finger crossed it works out soon! I’m not doing the sew-along, but I am doing your block. Love it! Thanks Karen!! I’m so glad you like it! What pattern is the quilt above the Stars and Windows in this post? It’s a mock-double-wedding ring and I need to have it! I am currently working on 2 Stars and Windows quilts by Flamingo Toes, and I have LOVED the process. The instructions are easy, and I’ve really enjoyed each part of the process so far. I’m so glad you like the Stars and Windows pattern too – that’s so great!! It’s been a while since I uploaded anything and I find that I made two submissions. Oh well, It was fun making the block. Thanks so much for making it Ann! My girls both helped make this one.